I know I did. When I was diagnosed with early stage, slow-growing prostate cancer six years ago, I got highly motivated. I researched quickly, armed myself with knowledge, and made abrupt changes that have given me dramatic health benefits. When others ask me now for resources to help them, the #1 resource is always the documentary, Forks Over Knives. Since the first time I watched in 2011, I’ve watched it over 25 times. It’s that good. FOK is a look at the work of two world-class doctors, T. Colin Campbell and Caldwell Esselstyn, of Cornell University and Cleveland Clinic respectively. Their combined research over decades has brought them to believe that most of the heart disease, cancer, stroke, and type-2 diabetes is the result of our animal-based and processed foods. It’s amazing that most of these lifestyle conditions or “diseases of affluence” are controlled or even reversed by simply eating! That’s the meaning behind “Forks Over Knives”—”forks” symbolizing nutrition as opposed to “knives” referring to surgery. The film is engaging and credible. The research findings are interspersed with personal stories of at least six people. There’s no guilting or shaming—just powerful information and the highly encouraging and motivating stories others. Not everyone who watches it takes the same actions. But I have never seen anyone not be impacted by it. And all are inspired to take some step toward better nutrition. Consider this: the first symptom approximately half of those with heart disease experience is sudden death. They weren’t even aware there was a problem! They didn’t even have a chance to make a change. My recommendation: watch it as soon as you can. Don’t be afraid you’re going to be pressured into something you don’t want to do. But you owe it to yourself and your loved ones to make better choices so that you’ll be around longer and healthier. 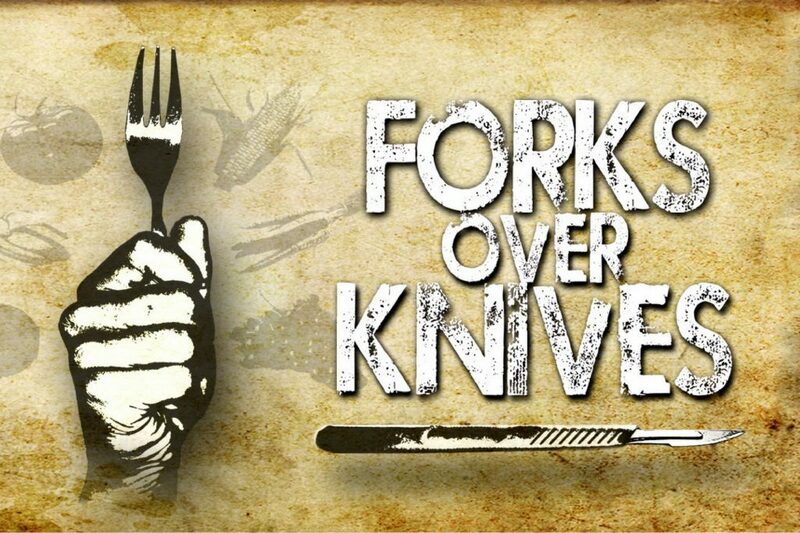 Forks Over Knives is available on Netflix if you’re a subscriber. Or you can purchase on Amazon.com. I’m confident you’ll enjoy it and be glad you watched it. Email me or leave your comments below once you watch. Question: If you've seen Forks Over Knives, how did it impact you and what changes did you make? Share your answer in the comments below.